Here’s one of the articles I did for the last edition of The West End Magazine. 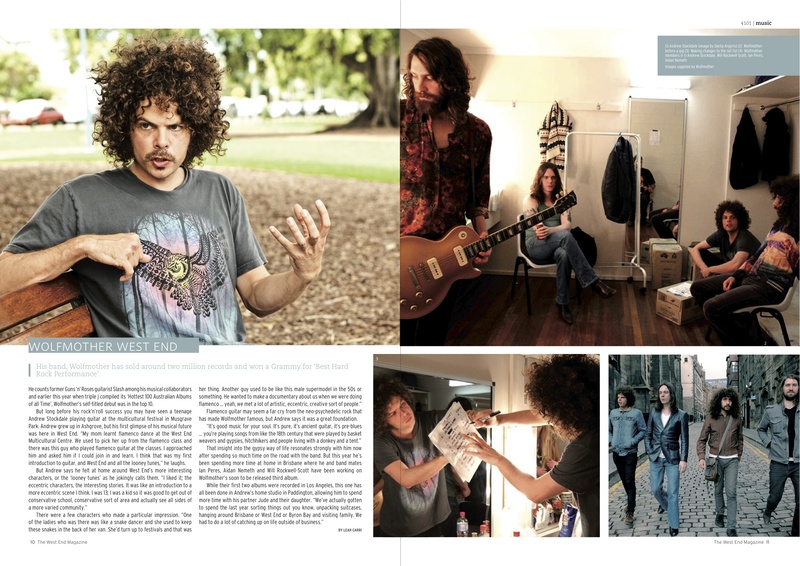 I saw Wolfmother perform recently when they supported Lenny Kravitz. They were great live. Click on the image to read.